Why live in Cheyenne, Wyoming? Cheyenne is uniquely positioned. You can be part of the city or the outdoors in a matter of just minutes. There are amenities to enjoy both in and out of town. For outdoor enthusiasts, Cheyenne has a Greenway that connects the north, east and south sides of Cheyenne. For skiers, hikers, campers, mountain bikers, hunters, fishermen and boaters Cheyenne has it all within 100 miles. Snowy Range or any Colorado ski area are easy to find. Vedauwoo and Curt Gowdy boast world class mountain bike trails, hiking, camping and fishing. Glendo Reservoir and Guernsey Reservoir are beautiful lakes north off I-25. Things-to-do – There are a variety of attractions and entertainment opportunities throughout the year in the greater Cheyenne area. From local attractions to being the home to 15 local museums, having 4 movie theaters, 2 community theaters, a Civic Center and many outdoor amenities, there is always something to do in the community. The artist community is also very strong and provides a monthly Artwalk throughout the community, along with many other public events making it a fun place to live. Additionally, the community is home to the Cheyenne Frontier Days, the world’s largest outdoor rodeo which lasts 10 days during the month of July. Education – Cheyenne, Wyoming is a part of the Laramie County School District #1. The list of schools are available HERE and learn more about the school district by checking out SchoolDigger.com. Also residing in Cheyenne is Laramie County Community College and the City of Cheyenne is 45 minutes East of the University of Wyoming. Go Pokes! The community has a strong partnership with the military and therefore has played a role in the lives of many. It has been named one of the greatest communities to retire and many individuals who have lived in the City of Cheyenne, do make it their final home following retirement. The community is also known for it’s “small town” feeling. The crime is low compared to communities it’s size and it has been shared by many that it is a great area to raise a family. Further demographics and psycho-graphics are featured HERE. Cheyenne resides in a pro-business state. It has a low tax structure for businesses to operate and the Greater Cheyenne Chamber of Commerce provides great resources to help any business relocate to the area or expand. Additionally, the City of Cheyenne has a low unemployment rate. Cheyenne has a lot to offer for long-time residents and newcomers alike! Established in 1867, Cheyenne is the capitol of Wyoming. Cheyenne was originally established as a territory to serve as a supply depot for the Union Pacific Railroad, and UP still maintains a strong presence here. Fort D.A. Russell was established by the US Army in 1867, and the base is still a major employer, although it is now F.E. Warren Air Force Base. Cheyenne had a role in the Black Hills gold rush for outfitting and stage passengers. 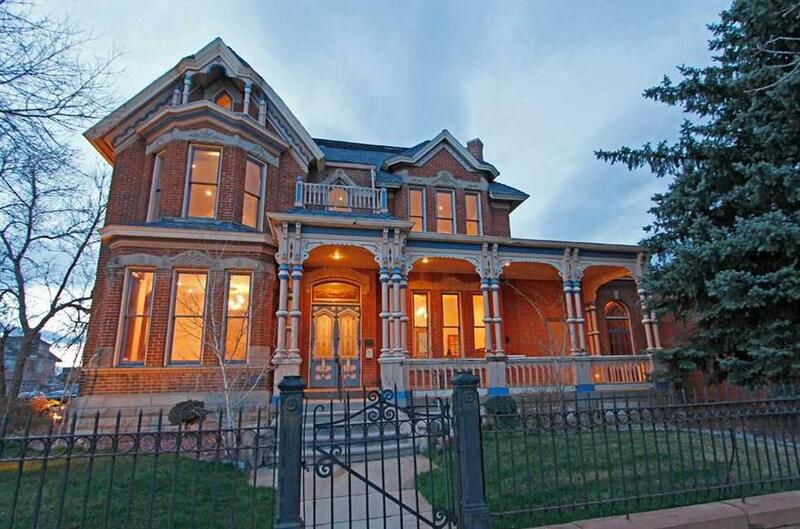 Cheyenne was a center for wealthy cattle ranchers, their mansions and the famous Cheyenne Club. Wyoming became a state in 1890 and houses the State’s government. Today you still have the opportunity to see many of these historic icons. Many times it has been said, “Cheyenne is great because of its people.” Check out our Why Cheyenne video series for more real people telling you why they love Cheyenne!